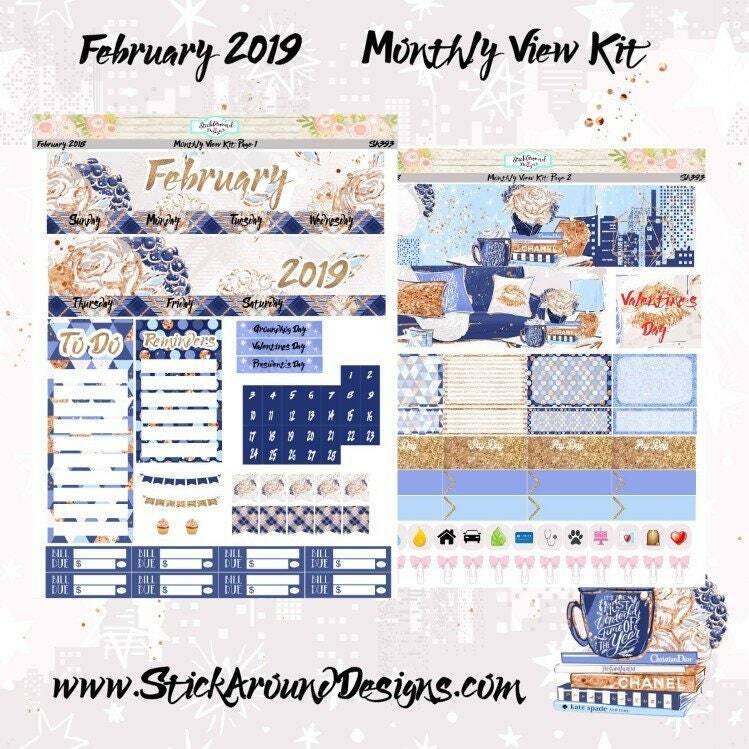 This two page planner sticker kit was made specifically for the February 2019 ECLP monthly overview and may also fit other planners, calendars and agendas. The stickers are printed on permanent glossy sticker paper. 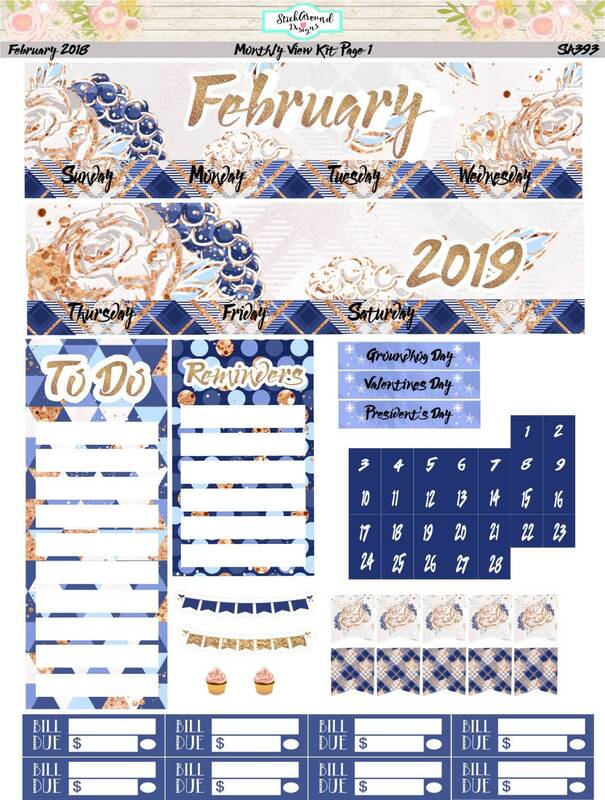 The first page includes two header bars, one To Do and one Reminders box for the sidebar, 8 Bill Due boxes, Date covers numbered 1-28, *3 Holiday/Event Labels, two birthday cupcakes and banners, and 10 flags. 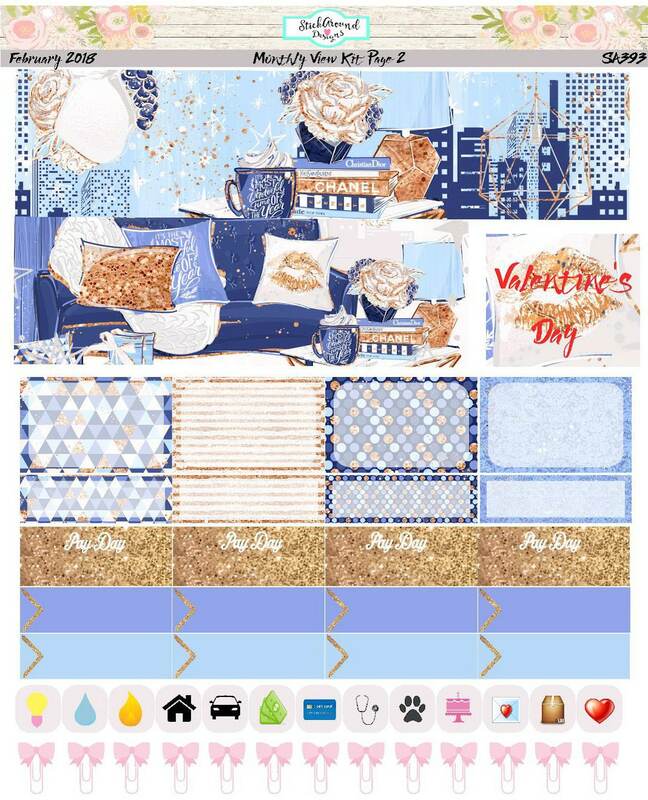 The second page includes date covers for the prior and next month's dates, 1 “Valentine’s Day” box, 4 Half Boxes with coordinating Quarter Boxes, 4 Pay Day labels, 4 glitter boxes, 8 appointment labels, various icons and decorative pink bow paperclips. *Customize the Event Labels: In the Note to Seller section please type in the events you want to substitute exactly as you wish them to appear. Stickers are of high quality and just as advertised. I am very pleased with them and will definitely be ordering more.